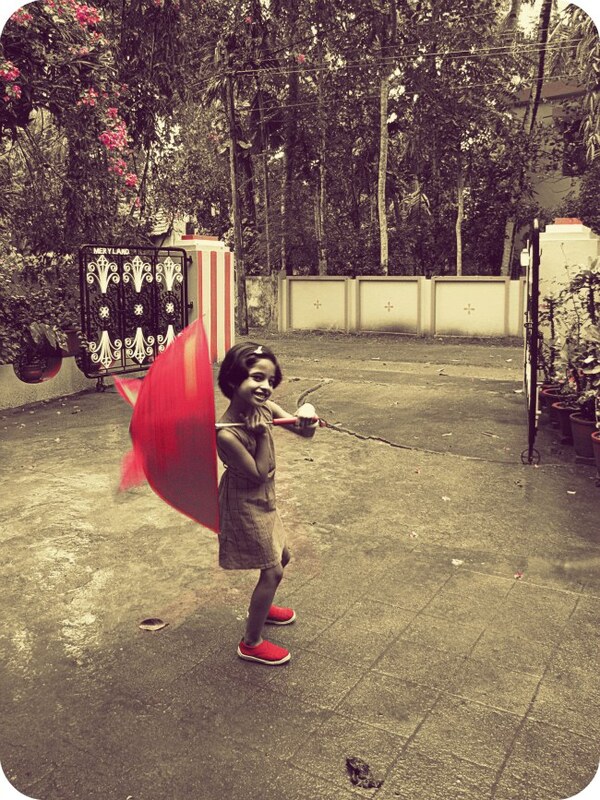 My dear neice Joana a.k.a Chinnu, playing with her umbrella in the drive way, as it began drizzling. That was most likely the first time i had seen an umbrella with what looked like horns or ears. And my giant bougainvillaea makes an appearance in the distance.